It’s like the pink ribbon for guys. You are invited to participate with us this Movember. 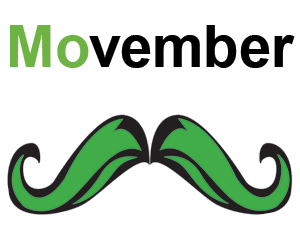 Each November people from all over the world grow, or wear, moustaches to promote awareness of men’s health issues. Grow a moustache – If you want to join in, start growing on November 1st. 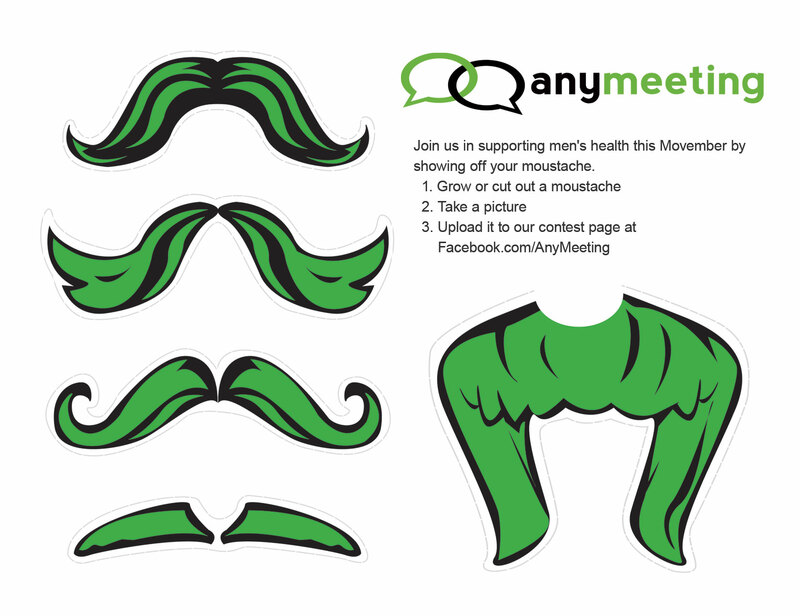 If you are folliclely challenged like me then you can show your support by sporting one of these printable moustaches. No excuses girls. Upload a picture of your moustache to our Facebook page – We will be holding a best moustache contest on Facebook to promote awareness and connect with our community online. You can win a Perfect Shave Kit from the Art of Shaving (or a $100 Amazon gift card, your choice). Upload your hairy lipped masterpieces to our Facebook page between 11/1/11 and 11/21/11. Be sure to vote on your favorites and/or get your friends to vote for you. Voting begins 11/21/11 and a winner will be selected on 12/1/11. Join the Movember moustache team – Besides adding your moustache photo to our Facebook page, please join the official Movember charity page. You can participate as an individual, start your own team, or join the AnyMeeting team. We look forward to viewing your masterpieces. Happy growing. This is classic, the handlebars are awesome. Would you be interested in hosting a Live, Virtual Facilitator-Led Workshop on men’s issues re: November men’s month. I am a psychologist who has worked with hundreds of men and wrote a book about men. I am an Instantpresenter customer. That sounds like a great topic. We certainly encourage you to hold a webinar on the topic. Please let us know when it is scheduled so we can help spread the word.